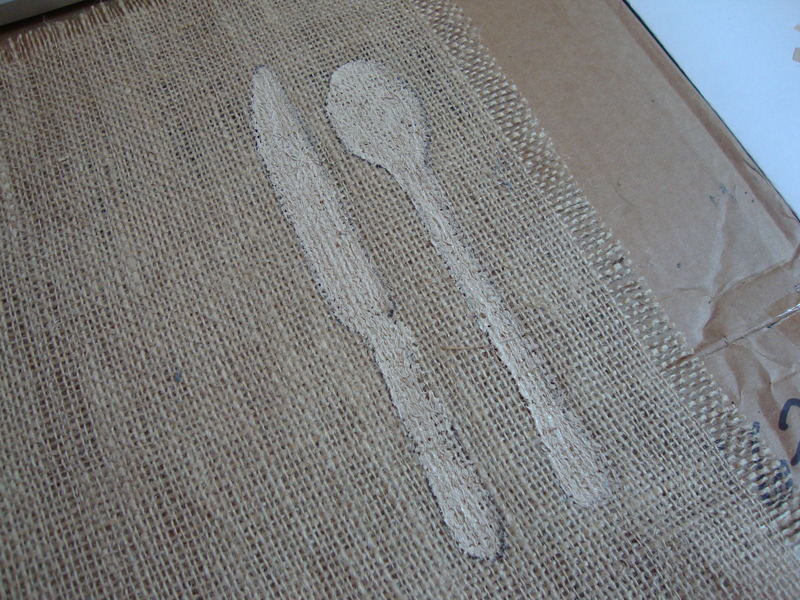 One day, my Mom and I were walking around stores in downtown Homewood and found these place mats made out of burlap. 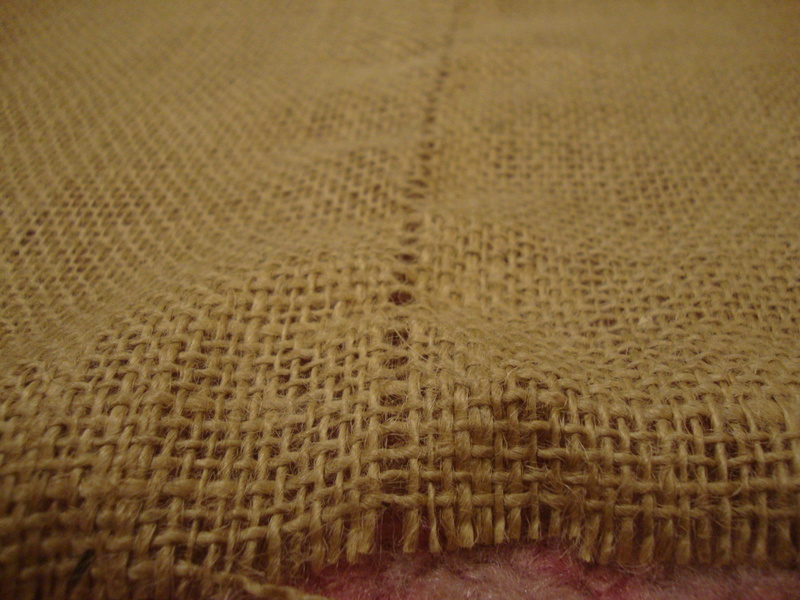 Of course, I looked at them and thought the price tag was way too high when I could easily make it myself. So I stored that idea and pulled it out for this past Mother’s Day. 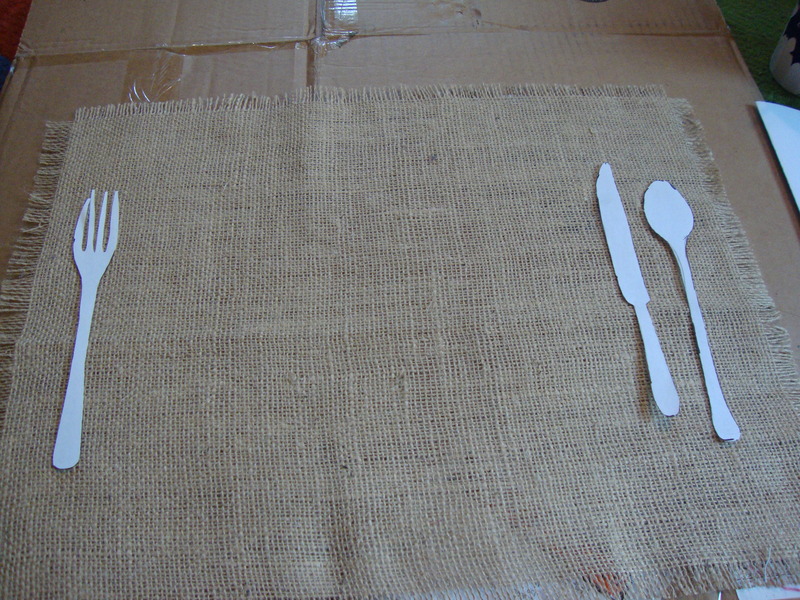 For the place mats, I cut a 15×20 inch rectangle. 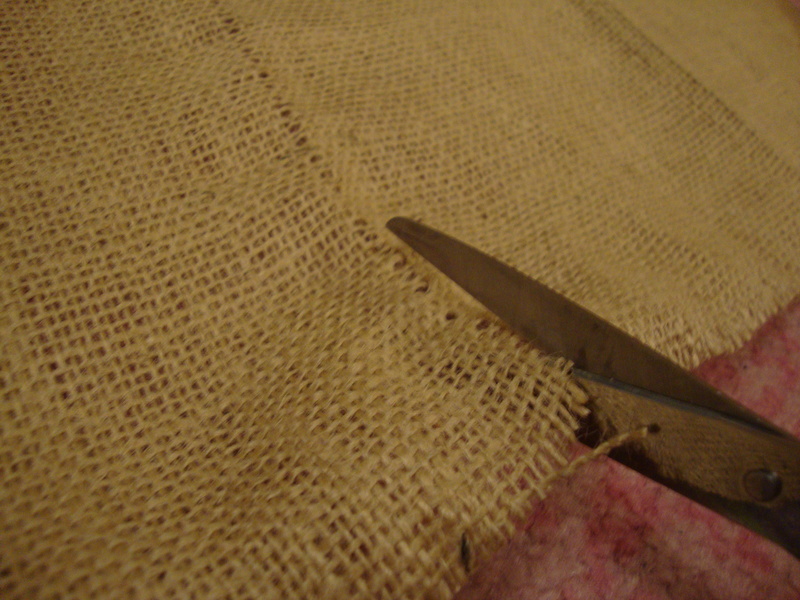 Once cut, I wanted to create a frilled edge, so I peeled away a few strings (about an inch along the edge). 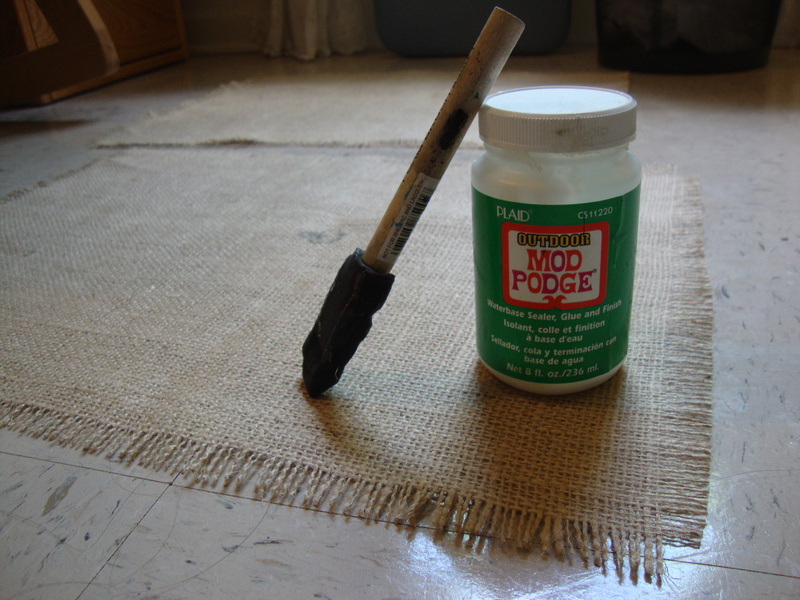 But then to make sure the edge wouldn’t continue to unravel past the point I wanted, I used ModPodge to secure the edge. 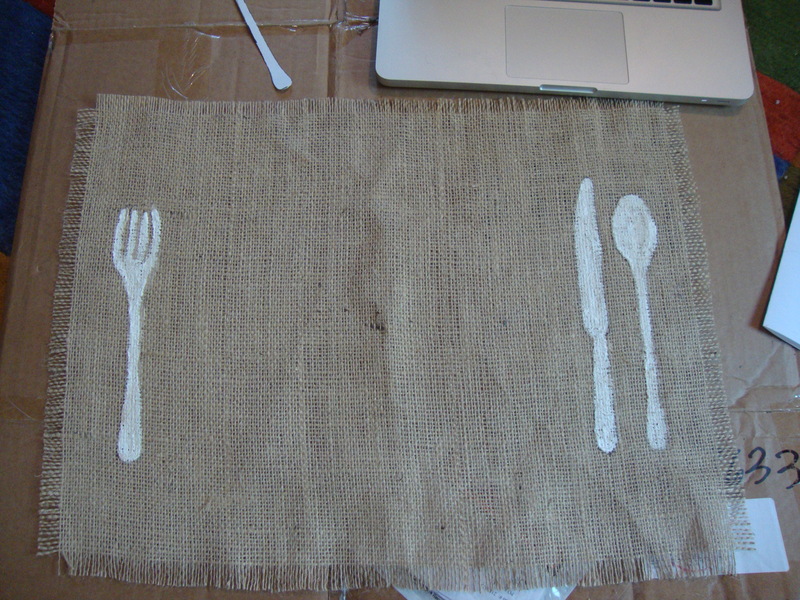 The place mat I saw in the store had painted on two parentheses, as so that they would surround the plate. 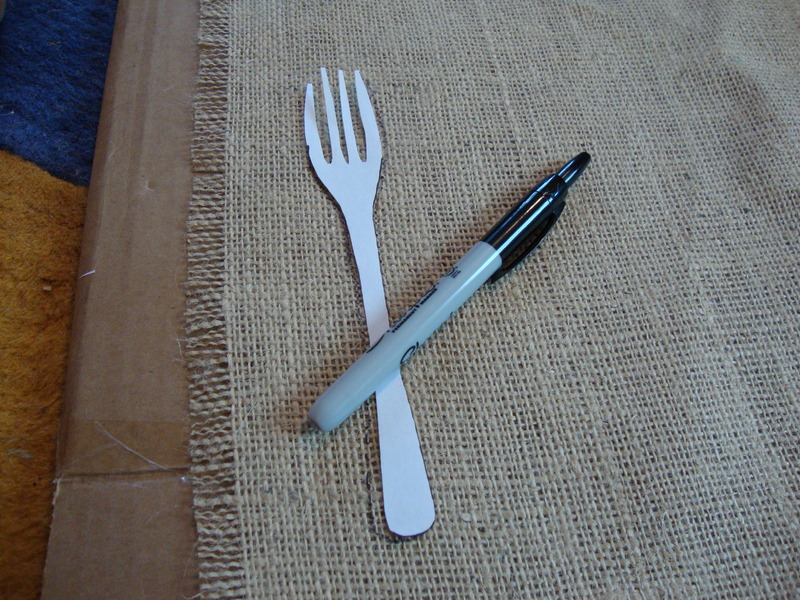 I liked this idea a lot, but I didn’t want to flat out copy the place mat I saw in the store, so I decided to change up the design using the basics – the knife, fork and spoon. 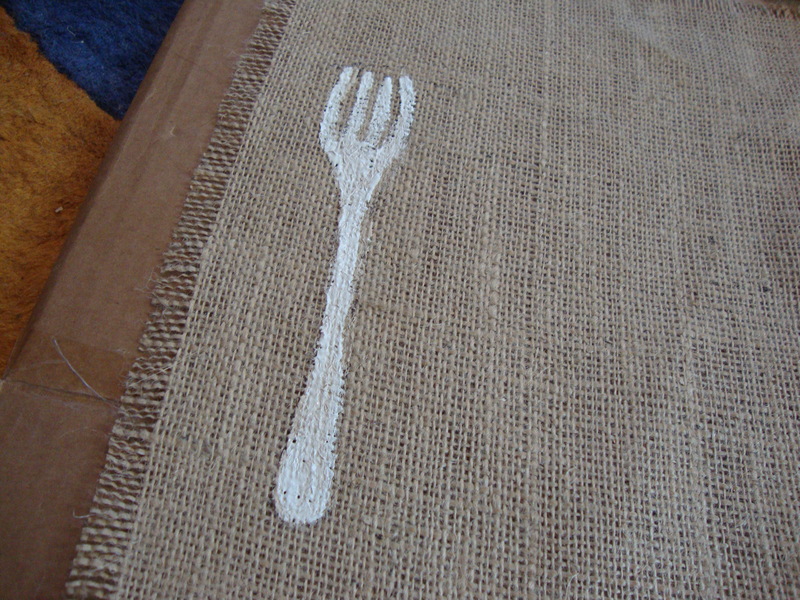 I cut out a template first out of basic computer paper and used a sharpie to outline the design on the burlap. 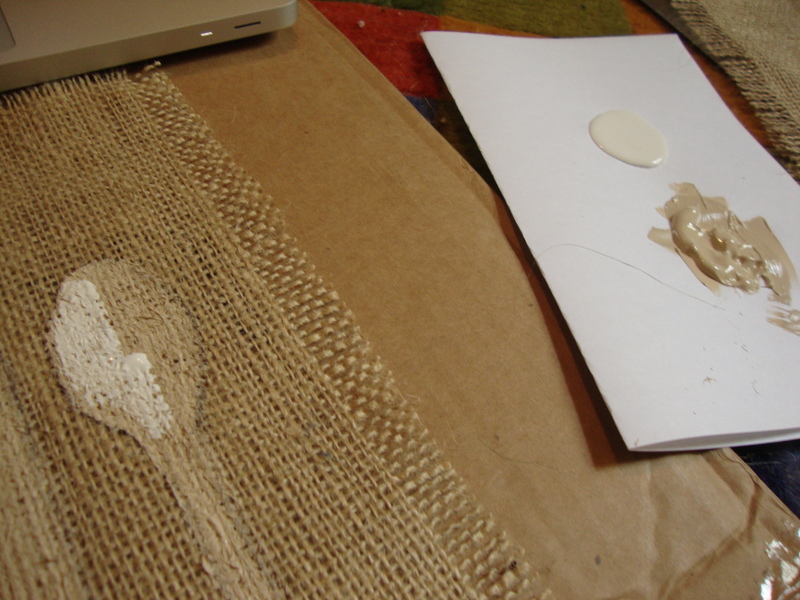 Then I simply painted over the template I made. 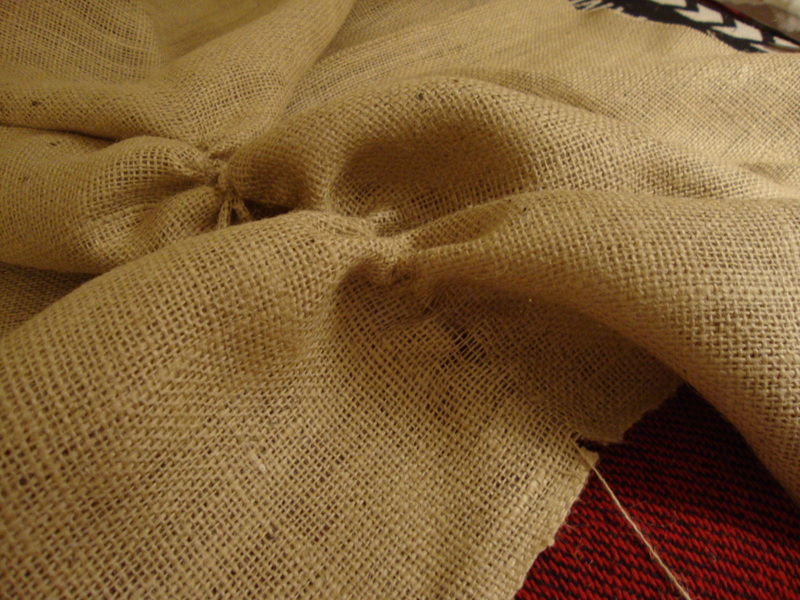 I started with layer of paint that was very similar in color with the burlap (thinking that if I didn’t like it, the mistake could easily blend in). 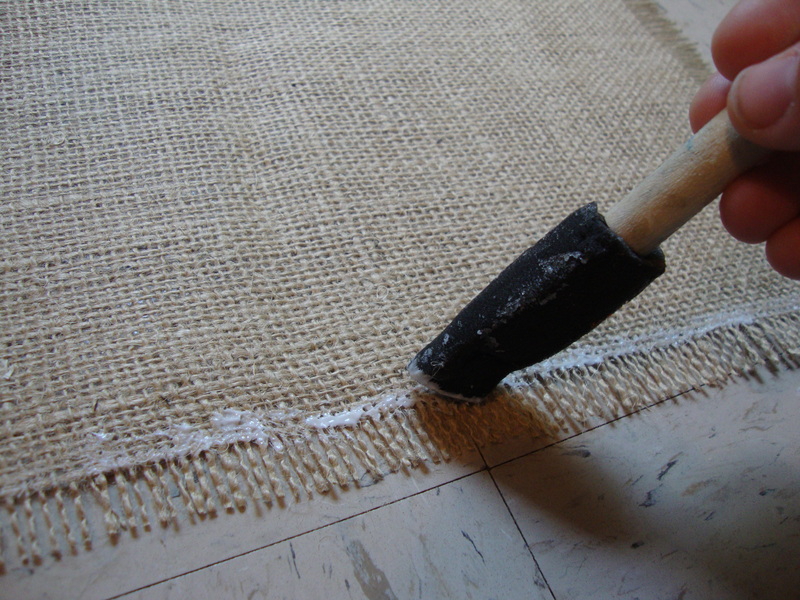 Then I added a second layer using a bright white paint. 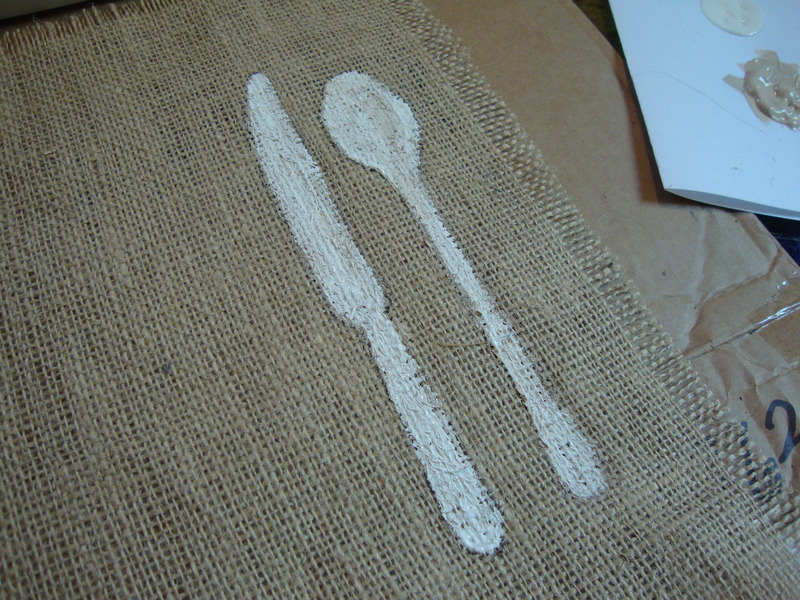 This entry was posted in Home Decor, Painting Projects, Sewing Projects and tagged burlap placemat, fork knife spoon, how to cut burlap, Modpodge.